SKU: Space Saver Kitchenette 900. 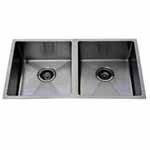 Category: Kitchen Sinks And Kitchennette. Space Saver Kitchenette 900 is a perfect fit for those with tight kitchen or laundry space. And it is the ideal space saver option without loss of functionality. It is ideal for for retreat or granny flats, undercover entertaining area, office, factory or second kitchen,etc. 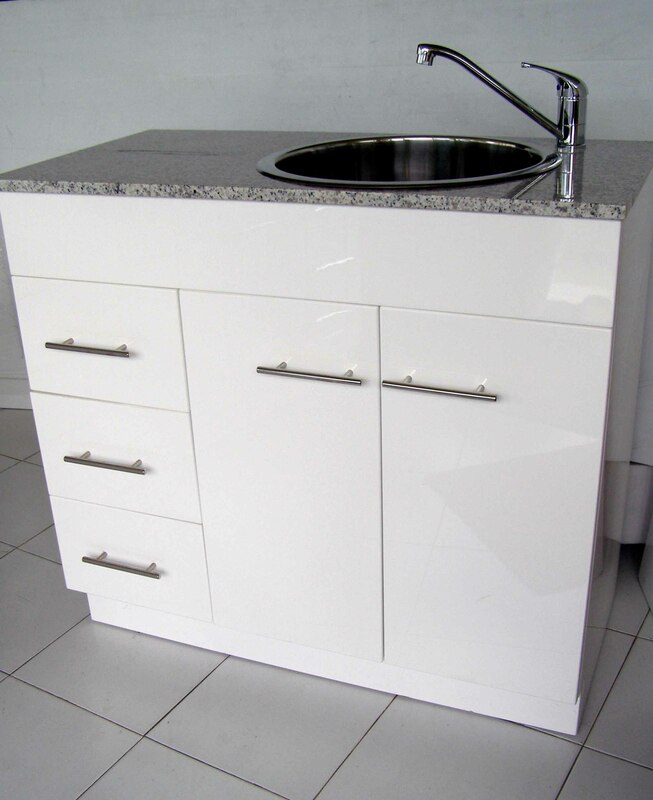 High gloss polyurethane cabinet on legs (or kick board) and left hand drawers( you can have right hand drawers) and two doors with bar handles. Alpine White (you can also have Everest, Coral Reef with the same price) QUANTUM QUARTZ TOP. 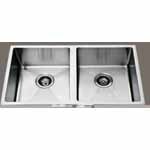 Round drop in stainless steel bowl with right hand sink mixer (5 star wells, sold separately). 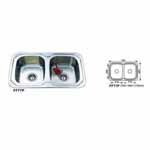 Please noticed that you can have one left or right hand tap hole for sink mixer or no hole for tap from the wall. 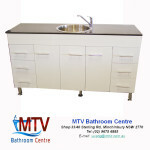 Please noticed that the price here is the price for the Alpine White, Everestor Coral Reef of Quatum Quartz top. If you need other color, it may cost more, please talk to our staff for the price of your special need for the different stone top. Please noted that it will take one or two weeks to do it and Please talk to our staff to discuss your need, the time and the availability. 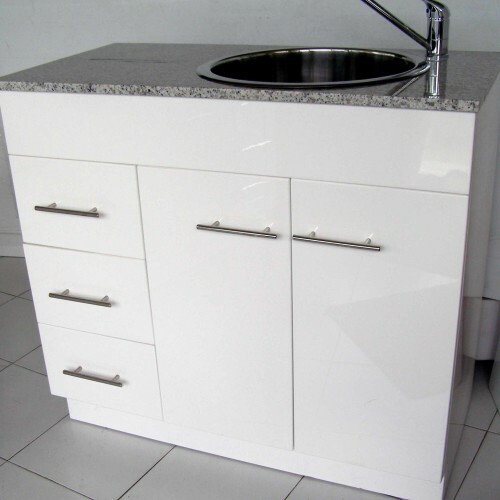 Due to computer program process, color and size variations of the cabinet and stone top can occur, please check actual products color.